Lazy, weekend, lunches are one of the small pleasure in life and I define a lazy lunch as a simple plate of food (with little to no manipulation), fresh, crunchy, bread, and a bottle of exquisite wine (psychologically, get an exquisite bottle of wine for under $20, there are fabulous wine deals out there if you stay away from California, northern Italy, Bordeaux, etc.). The lunch should also be had outdoors and with someone you wouldn’t mind spending your last waking hours with (just in case it’s you last meal!). 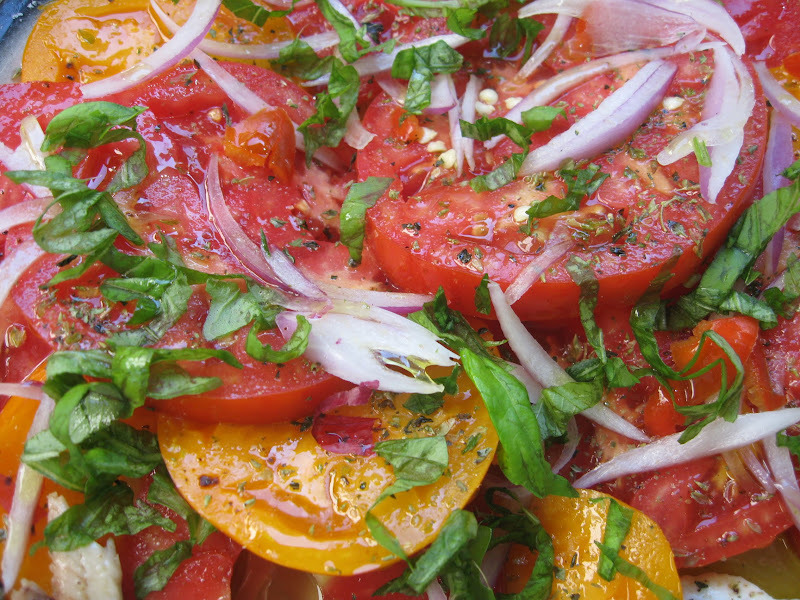 The tomatoes were simply sliced, as opposed to a formal tomato salad, and drizzled with extra virgin olive oil, kosher salt, dried oregano, freshly ground black pepper and topped with thinly sliced red onion and basil. 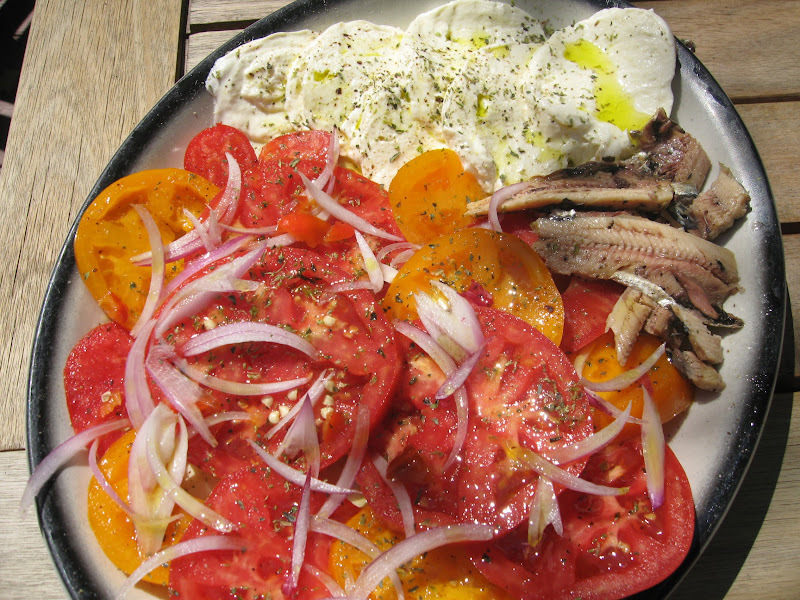 The mozzarella was prepared with extra virgin olive oil, black pepper, and dried oregano. The sardines were simply emptied from the jar and set on the plate! Click here for my guide to olive oil. 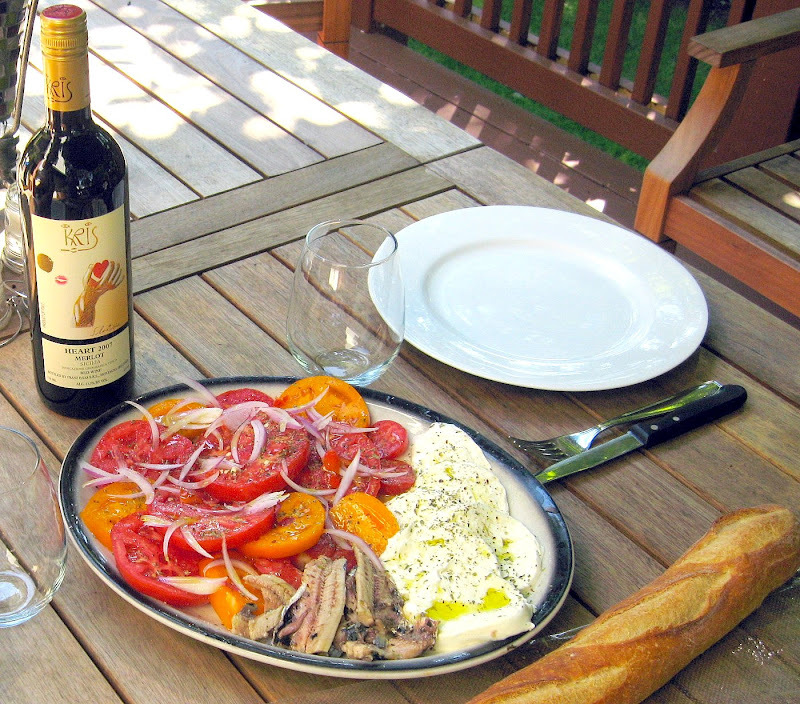 Do you have a favorite lazy weekend, and single plate, lunch combination?